Interdisciplinary shared governance is the foundational reference for interdisciplinary shared governance model design and implementation. 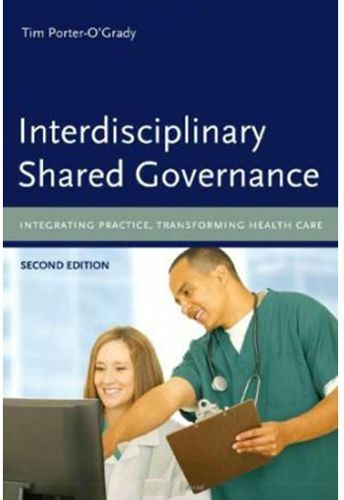 This text provides a seminal information base for translating nursing shared governance across disciplinary boundaries in a way that creates systems and practice linkages across the organization. The second edition has been updated with new concepts and further research that extends thinking with regard to shared governance, magnet recognition and interdisciplinary relationships. This revised edition is essential in supporting the broad-based application of shared governance as a decision-making model for integrating clinical practice.